What's wrong with the bottom of my touchscreen? My phone was fine for the whole day yesterday and this morning but all of a sudden that blur thing started to appear on the bottom. 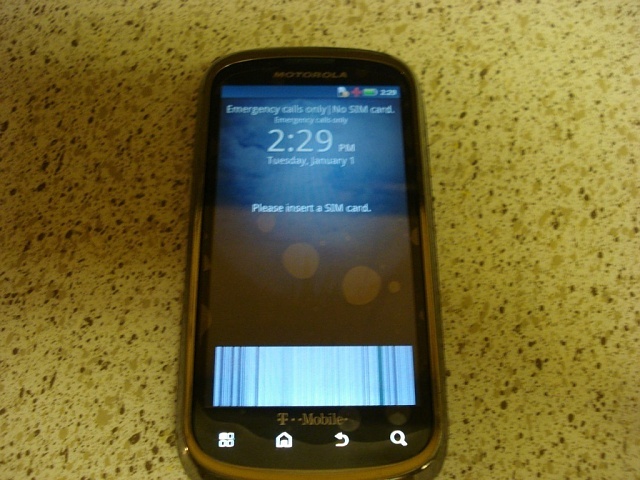 I tried taking the battery out, turning the phone off and resetting it but nothing worked. I've never dropped it and it doesn't have any water damage. I can still select the icons that are under it but I just want to be able to see them.Please Help! I won't have to sell it if I can fix it! What is wrong with the forum? Can't see anything when logged in. What is wrong with the Charge? What is wrong with the phone manufacturers?